Above Ground Storage Tank Removal - GES - Geotechnical & Environmental Services, Inc. Safe And Convenient Above Ground Storage Tank Removal. At GES, we pride ourselves on successfully handling hazardous material and all types of petroleum storage tank removal. From removal to disposal, our team’s methods minimize their impact to your property and the environment. When your commercial tank requires replacement or is no longer necessary, contact GES for scheduled, organized, and thorough removal services. Let GES Handle The Regulatory Details. Removing above ground tanks can be a complicated, time sensitive project. The products that fill these tanks can be hazardous to the environment and dangerous if handled improperly. At GES, our experienced professionals are able to remove and dispose of your tank in a responsible, safe manner. From the permit process to removing product and old tank disposal, we handle all aspects, so that you don’t have to. We Respect Our Client’s Business. At GES, we understand the value of the businesses and organizations that fuel Virginia’s economy. We aim to keep your business up and running so that it doesn’t negatively impact your employees or your property. We report any findings to you and provide a detailed plan of action to remove contamination, should any be present. Contact a member of our team to discuss your options. Keeping Our Community Environmentally Healthy. At GES, we care about the environmental health of our community. 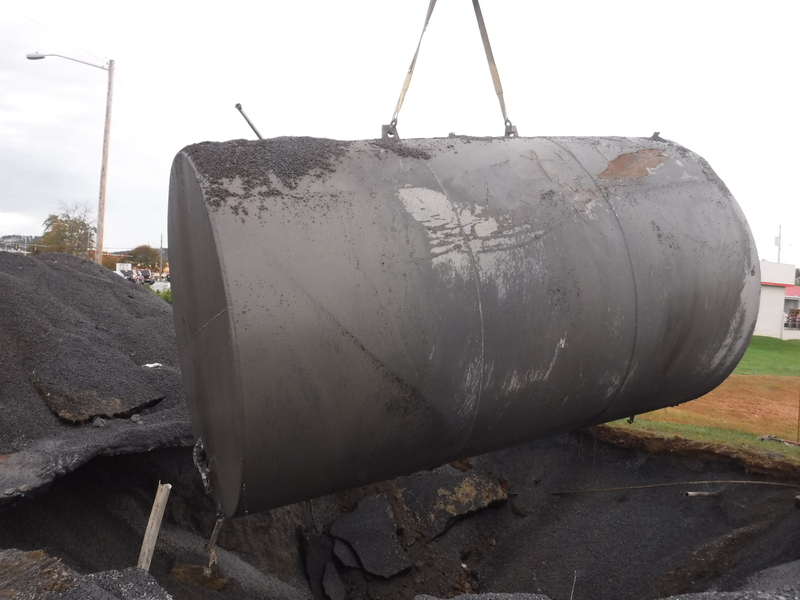 Our industry trained professionals use their knowledge and experience to provide safe and efficient removal of above ground storage tanks throughout Virginia and its surrounding areas. As members of the same community, we care about the environmental health and safety of our area and strive to keep it clean and green. When your business or commercial location requires the removal of an above ground storage tank, contact GES, your trusted environmental partner. Are You Ready For Above Ground Tank Removal?